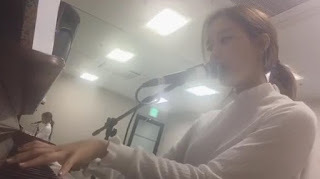 T-ara's HyoMin is back with another teaser, and this time, it's a clip from her practice session while playing the piano. No sound? There's really no sound in the video so we have to wait till tomorrow because that's when HyoMin will be releasing the first teaser for 'Sketch' at 2PM KST. Meanwhile, HyoMin's album 'Sketch' will be released on March 17, and she will also have a showcase on March 16. While waiting, you can also see her album teaser pictures here.